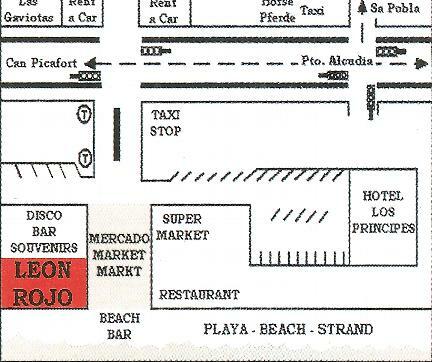 We can be found alongside the Playa de Muro; close by the Hotels of Los Principes; Los Gaviotas and Alcudia Park Apartments. Below are some maps giving you an idea of the location. For more detailed directions please do not hesitate to contact us.